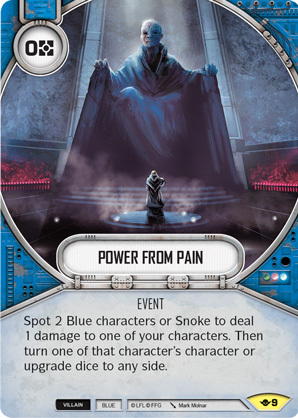 Spot 2 Blue characters or Snoke to deal 1 damage to one of your characters. Then turn one of that character's character or upgrade dice to any side. Way of the Force #9.